Both the meme pics are from Matt Bracken. The following videos by Charles Patrick describe some of the events in Charlottesville on August 12, including eyewitness testimony. They not only support Matt’s contention that actors were hired and put on the streets to play the part of demonstrators, but that it may have been even worse than that. The first video from Mr. Patrick is an introductory discussion of the eyewitness testimony that will be coming up in the interview from the second video. Based on her description, the restaurant she was in must have been on the Downtown Mall, with a back entrance on one of the alleys that open out onto 4th Street, where people were run over by James Fields’ car. So there were at least two batches of buses delivering “demonstrators” to the venue in Charlottesville. The batch that dropped its passengers near 4th Street had evidently co-opted a group of police. The witness doesn’t specify, but I assume they were state cops, and not Charlottesville city police. As bad as state cops can be, I’ve never heard of any as bad as what she describes. 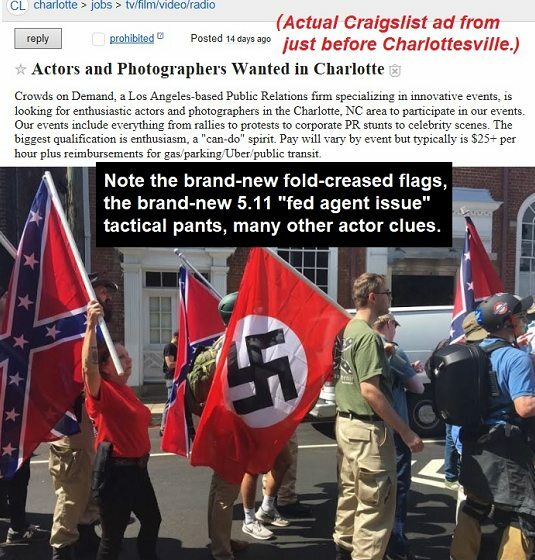 It makes me wonder if these were actually some of the actors hired — could there have been Antifas, BLM, KKK, neo-Nazis, and cops, all hired for the occasion? There are even more ominous explanations for what this woman saw just off 4th Street, but I’m trying not to think about those possibilities too much, because they’re quite alarming. This entry was posted in Civil Liberties, Culture Wars, Domestic terrorism, News, PC/MC, Politics, USA by Baron Bodissey. Bookmark the permalink. 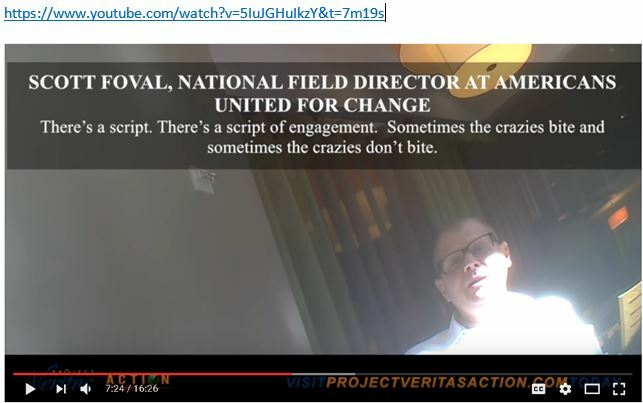 Potemkin patriots, false flagged, mercenary street politics? It’s like a practical joke based upon the 1969 Z. The police at Charlottesville (who refused to let the restaurant customer get to safety )are disgusting , absolutely despicable- a disgrace to the uniform and guilty of willful dereliction of duty .They have brought the reputation of the police force into disrepute and should face disciplinary action. The eyewitness should go to Charlottesville police department and identify the officers concerned and lodge formal complaints against them. She will soon find out if they weren’t involved and if actors impersonated them but I think it highly unlikely. They were almost certainly state police rather than city officers. At any rate thank-you for your article.A grand piece of investigative journalism. Its a pity that the news networks and newspapers can’t produce such sterling contributions to the debate. 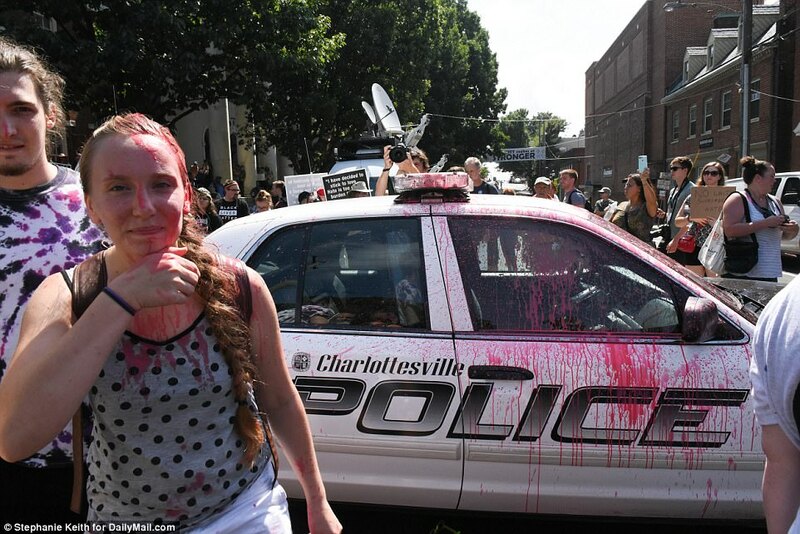 FWIW: Here is an image from a UKDailyMail report of a Charlottesville PD vehicle in the melee, only illustrating the vehicle was there. It does not lend any guilt to which uniformed ‘police’ corralled the innocents from the local establishments into harms way…but does validate Shelagh’s concerns. I know the Charlottesville Police stood down — they were under orders. That much is in the public record. But standing down from interfering in violence between warring demonstrators is one thing. In the eyewitness’s account, the police not only failed to protect civilian diners, including children; they also physically blocked them from escaping a dangerous situation where they could have been seriously wounded or killed. That’s a new level of demonic evil. I can’t see even the worst state cops doing that — unless there is far more to all this than meets the eye. Yeah. My thought also. Recall during the Tienanmen Square standoff in Peking, the Chinese government brought troops in from a different province because they were afraid the local troops were too familiar with the population, and would resist orders to run over the protesting students. It’s not beyond credibility to believe federal personnel, perhaps marshals or some other federal security agency, were brought in for the occasion. The founding fathers were against a professional, standing army for just this reason: a professional army would not have strong ties to the people. What really brings out the temptation for conspiracy theories is the lemming-like, seemingly-coordinated, rush across the country to take down confederate memorials and the universal swooning about one death. Actually, there were 3 deaths, but the unfortunate crash of the police helicopter doing its job could hardly be blamed on white supremacism, even by the tortured non-logic of the left. Scroll just a tad further on the UKDailyMail report…note a short video clip by Craig Stanley highlighting the chaos – filmed from under a tent cover for professional photographers set up behind temporary metal barriers to keep the journalists safe. Apparently, some lives (photo-journalists) are more worth protecting than others. The parents of a severely mentally disabled man are speaking out on how the FBI groomed him as a right wing terrorist, knowing he’s paranoid schizophrenic. Let’s not forget the fact that the FBI not only had informants who knew about the jihadists going to assassinate Robert Spencer in Garland Texas for the Muhammad cartoon exhibition: they had an informant physically accompany the assassins, and gave the local police only about two hours notice that something was happening. Of course, the details are fuzzy, since if the police know someone will arrive with automatic weapons in two hours, the police should be able to prepare a warm reception in that time. To me, the most indicative aspect of the Charlottesville riots was the immediate and uniform response by most of the media and politicians, and the immediate rush by other localities to take down their confederate monuments. 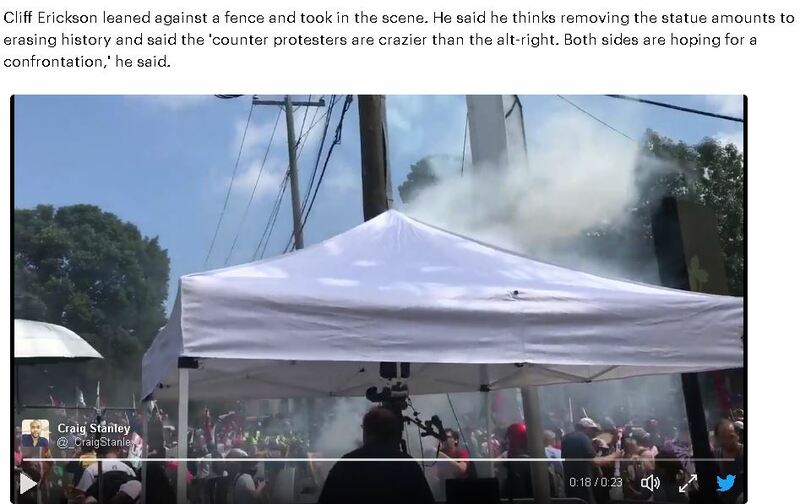 The following video is no doubt the best comprehensive explanation of what why and the wherefore of the Charlottesville fake riot that was spurred into motion by what is described as the “Deep State”. Debbie Wasserman Schultz, DNC Server scandals, Pakastani spy ring, miasma needed to be replaced from the forefront of peoples minds that weekend and push out the newspeak propaganda that Trump is Hitler as the new obsessive scab the public is encouraged to pick at. Stefan Molyneux You Tube channel/The truth about the Awan family Democrat IT scandal/Debbie Wasserman Schultz exposed. These riots are designed to divide America. Out of chaos,order.